Each year there are around two million red light accidents in the United States due to the carelessness and negligent actions of drivers. The red light was designed to direct the flow of traffic in a universal and organized manner around the United States. As citizens we depend on these lights to tell us when it is our turn to proceed and when it is safe to cross an intersection, unfortunately too many people disregard these signals causing accidents. A statistic by the National Highway Traffic Safety Administration shows that individuals who run a red light are responsible for 165,000 fatality victims each year. In addition, nearly 50 percent of these collisions result in harm to an innocent individual. Therefore, we can assess that one out of every two red light accidents result in death due to the negligence of another driver. The National Highway Traffic Safety Administration took a poll revealing that over 97 percent of motorists believe that individuals who run red lights are hazardous to one’s safety. Supporting evidence shows that one-third of all drivers personally know someone who had been injured or killed in a red light crash. Thus, individuals who run red lights in Georgia pose a huge threat to others on our roadways. Most notably, out of eight red light cameras installed throughout Atlanta, they have collected approximately $2.4 million. Thus, causing individuals to pay more attention while driving and think twice before accelerating past that red light. 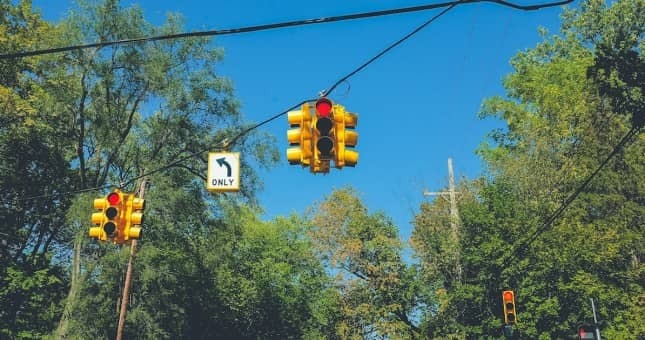 Plus, in Georgia, red light penalties are a $70 max for those with no conviction or record of offense, while those repeat offenders may receive a penalty up to $1000 and three points. Any blog content posted on The Eichholz Law Firm website is provided for educational and informational purposes only and is not considered to be legal advice. If you or a loved one believe you have a personal injury claim, please contact us for a free case evaluation.